We continue our streak of repeat Flop House offenders with the Katherine Heigl-starring action comedy (?) One for the Money. Meanwhile, Elliott brings back the rich tradition of radio sound effects, Stuart is very confused about My Cousin Vinny, and Pervazoid Number Dan brings up a fact about Mr. Skin that no one asked for. 0:00 – 0:48- Introduction, live show reminder, and theme. 0:49 – 4:23 – More nonsense than usual. 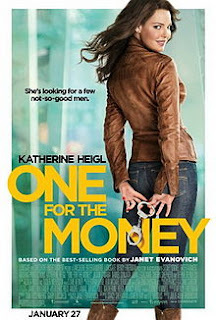 4:24 – 36:18 – When you think “bounty hunter” you think Katherine Heigl. 50:18 – 58:52 – The sad bastards recommend. 58:53 – 1:00:03 – Goodbyes, theme, and outtakes. Flop House Plugs Corner – LIVE SHOW THIS WEEK! Come to the next Flop House live event! (produced and co-hosted by the good folks at I Love Bad Movies). This will probably quite literally be your only chance to see the 1986 James Remar non-hit QUIET COOL on the big screen! At 92Y Tribeca on Friday, June 8 at 8 pm, on the great island of Manhattan. Tix $12. More info and online ticketing can be found HERE.